OGBORU, SENATOR AGEGE'S POLITICAL CAREER WILL SUFFER MAJOR SET BACK AFTER 2019 GENERAL ELECTIONS - FRED OGHENESIVBE. ...SAYS DELTA APC LACKS SOLID POLITICAL STRUCTURES, LEADERSHIP CREDIBILITY TO TAKE OVER DELTA STATE. 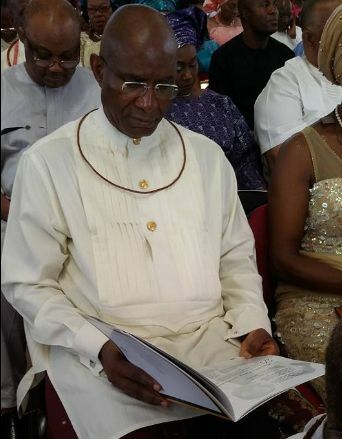 Two politicians in Delta Central, Senator Ovie Omo Agege and Chief Great Ogboru, both chieftains of the All Progressives Congress (APC) have been told to look beyond politics for survival after 2019 general elections; because of the dwindling political fortunes of the APC national government and the fragile structure of Delta APC. Executive Assistant to His Excellency the Governor of Delta State on Communications, Dr Fred Latimore Oghenesivbe gave the advise while speaking during a Radio live political programme on Tuesday January 30, 2018. He said the duo of Ogboru and Senator Agege are battling with serious credibility problems revolving round their past criminal records and unscrupulous business transactions; resulting in huge bank debts and insolvency, adding that in civilized societies the two APC chieftains will never be cleared by security agencies for the purpose of presenting themselves for public office and elections. Oghenesivbe who recently rejected a federal board chairman appointment of APC government, further asserted that Senator Agege is aware and conversant with his crime records in the Unitrd States of America, where he was rusticated from Law practice because of grave criminality bordering on documents forgery and perjury while Chief Great Ogboru's company, Fiogreat Limited was declared insolvent by the Assets Managemnt Company of Nigeria (AMCON), a federal agency. "There is the popular saying that 'birds of the same feather flock together' meaning that the political union or entanglement between Senator Agege and Chief Ogboru is largely traceable to their questionable character and cracked pedigree; as such both politicians lacks credibility and moral justifications to present themselves for elective offices. Good conscience and morality demands that both men hide their heads in shame. "To govern a state and or to represent people of a senatorial district at the National Assembly requires positive strength of character, trust and pedigree which is why Senator Agege who was convicted in America and Ogboru wlho mismanaged the loans acquired by his company from different commercial banks in Nigeria lacks moral and legal justifications to run for public offices in a political party (APC) that is preaching the deceptive gospel of transparency, integrity and visionary leadership. "It is therefore safe to assert that the good people of Delta Central and Delta State will do the needful to ensure that a chronic debtor and a confirmed criminal who was rusticated from legal practice in America are not allowed to fraudulently smuggle themselves to power, not in 2019, not 2023, not anymore. "A man who forged documents and lied under Oath in America is not fit to be called a distinguished Senator of the Federal Republic of Nigeria. And in the same vein, a man who has been declared a chronic debtor by banks and AMCON cannot be trusted with the treasury of Delta State. Therefore, Ogboru and Agege must look beyond politics in 2019 for survival because Deltans will rise up against the gross incompetence, questionable lifestyle and blurred leadership propensity of the two APC chieftains currently boasting that they have all it takes to win elections in 2019. Never. They know themselves and Deltans know them to be men of questionable characters. Their political ambition is a scam. "Furthermore, APC DELTA is bedevilled by credibility problems due to the multiple factions, politics of deceit and internal squabbles ravaging the three major factions namely; APC Delta Mainstream, APC Light of Labour and Consolidated Delta APC. 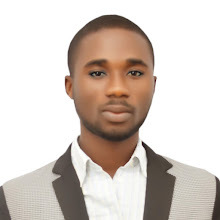 Not one of the faction has been able to articulate the socioeconomic agenda of Delta APC talkless of putting political structures in place for the purpose of winning elections. "Delta State is PDP and PDP is Dellta State. His Excellency Senator Dr Ifeanyi Arthur Okowa has impacted the lives of Deltans positively within two and half years in office through people oriented policies and programmes which is why the PDP and the Governor will savour unprecedented landslide victory come 2019. "Delta is becoming a political Mecca, actively involved in both local and national politics as can be seen from the numerous roles played in national political events by the SMART GOVERNOR of Delta State. The governor will host top leaders of PDP and the Governors Forum in Asaba, this weekend. "So, when political discuss at higher levels are taking place, you don't get to see the likes of Ogboru and Senator Agege. They are political hustlers, not consolidated politicians and not genuine political leaders. The two APC chieftains are seasonal politicians; jumping from one political party to another searching for what is not missing. "2019, shall be the worst political and electioneering year for the duo who are in politics for their stomach and to loot state funds for payment of their huge bank loans," Oghenesivbe added. It will be recalled that Chief Ogboru, Senator Agege and Mrs Mariam Ali met somewhere in Orogun recently and vowed to win governorship and senatorial elections in 2019. Political analysts were quick to state that the declaration by the local politicians lacks potency as they do not have the capacity and political structures to achieve their tall and unachievable dreams.